Ms. Lao was born in Chicago, Illinois. She is of Chinese-Filipino descent. In 2004, Ms. Lao graduated from Florida State University receiving her Bachelor's Degree in both Finance and Real Estate. 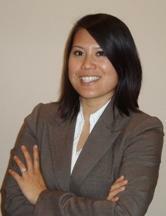 Ms. Lao continued her education at Saint Thomas University School of Law, receiving her Juris Doctorate in 2007. Ms. Lao was admitted to the Florida Bar in 2008. Ms. Lao was also admitted to the U.S. District Court, Southern District of Florida and to the U.S. District Court, Middle District of Florida in 2009 and 2010, respectively. 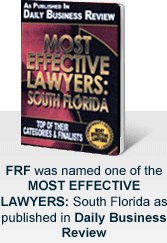 Ms. Lao joined the law firm of Friedman, Rodman & Frank, P.A. as an associate in the area of personal injury law. Ms. Lao has represented clients in cases involving rotator cuff tears, ACL tears, and hip fractures as a result of slip and falls at popular supermarkets; loss of vision in one eye as a result of the negligent supervision of minors; permanent scarring from dog bites; severe injuries due to construction accidents; wrongful death claims; battery claims; and bad faith claims handling by insurance companies.